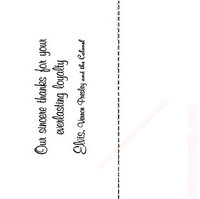 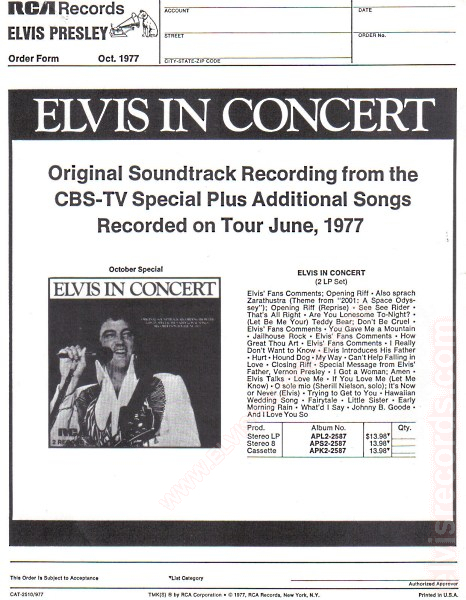 Cover Front: Catalog number upper right corner. 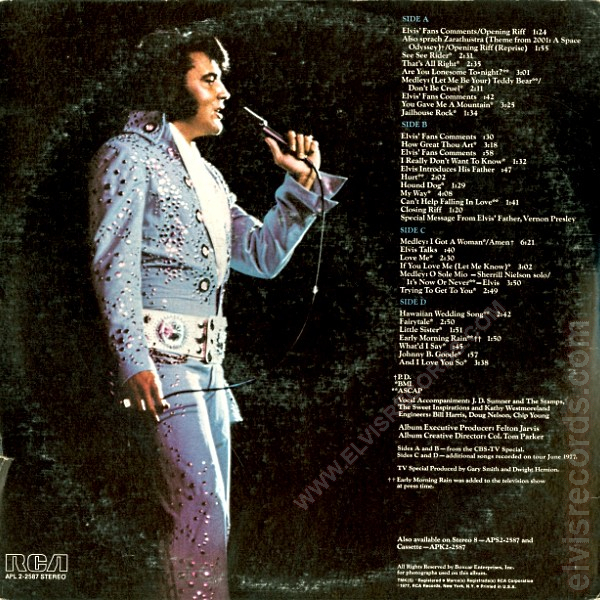 Cover Back: Picture of Elvis with song titles to the right of him. 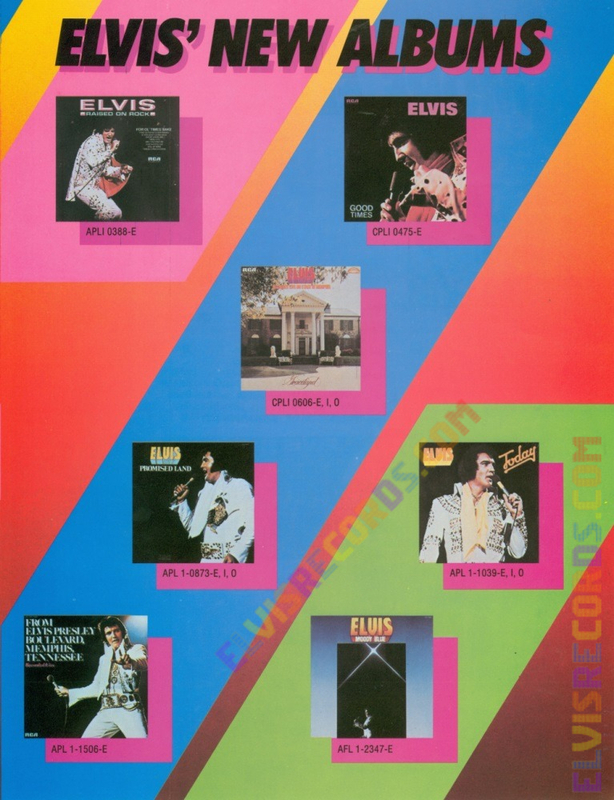 RCA and catalog number lower left corner. Gatefold: Pictures Elvis in different poses. 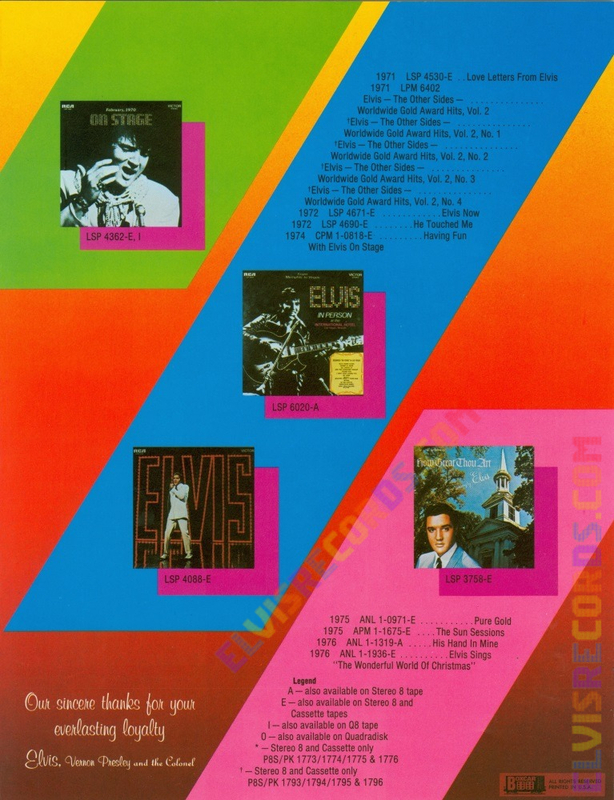 Disc: (1977) Blue label, RCA on left. 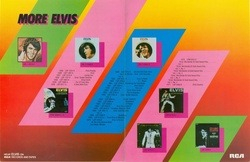 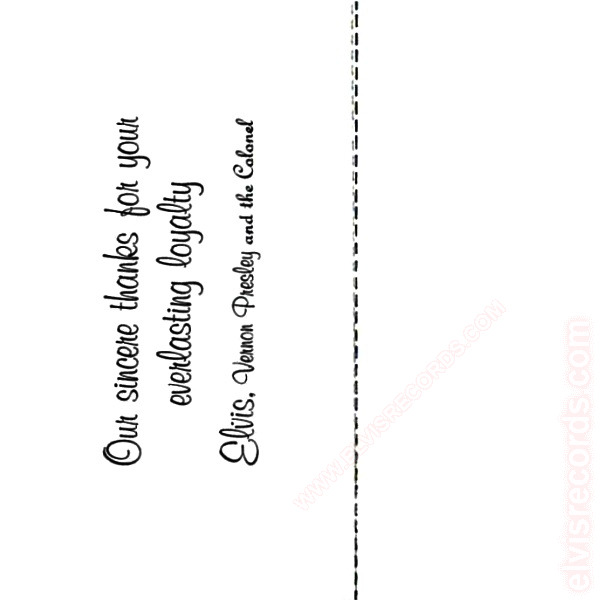 A 4 page booklet entitled Elvis' New Albums. 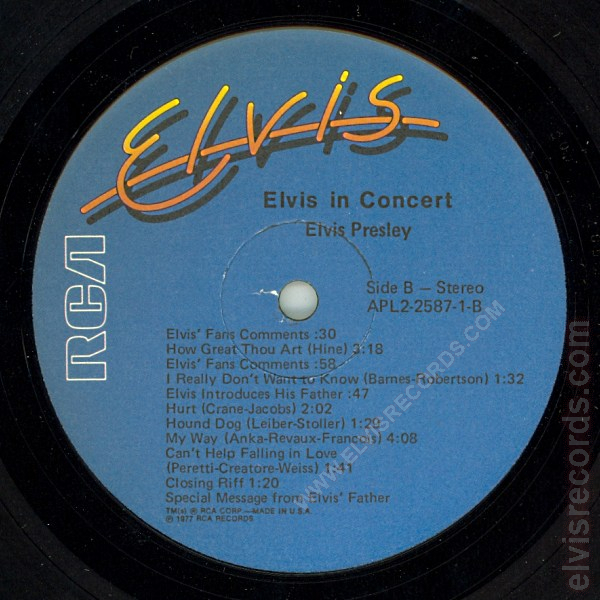 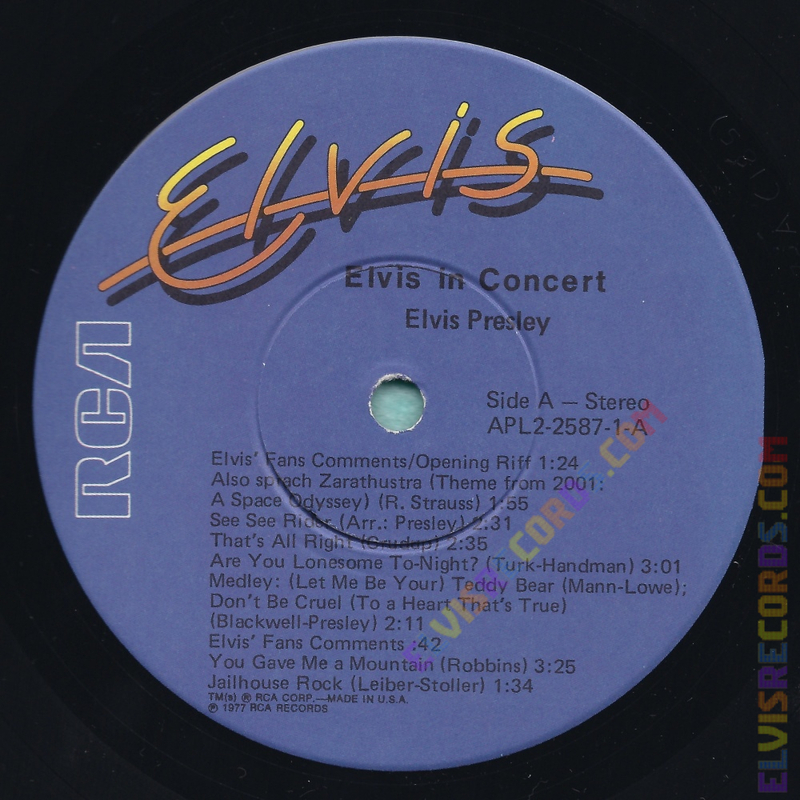 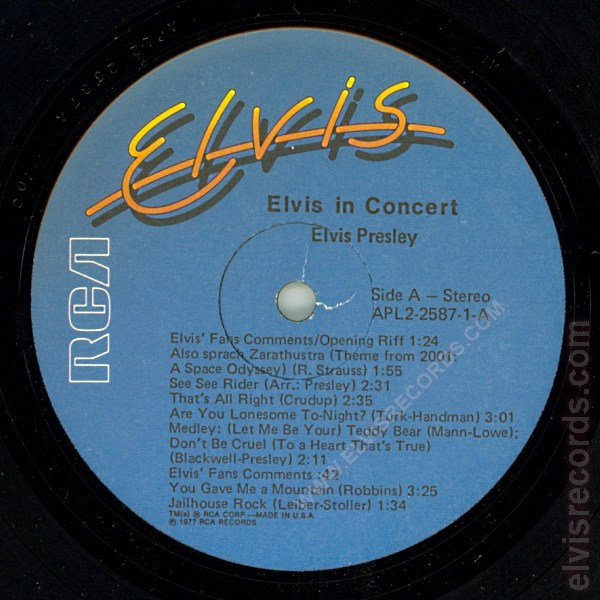 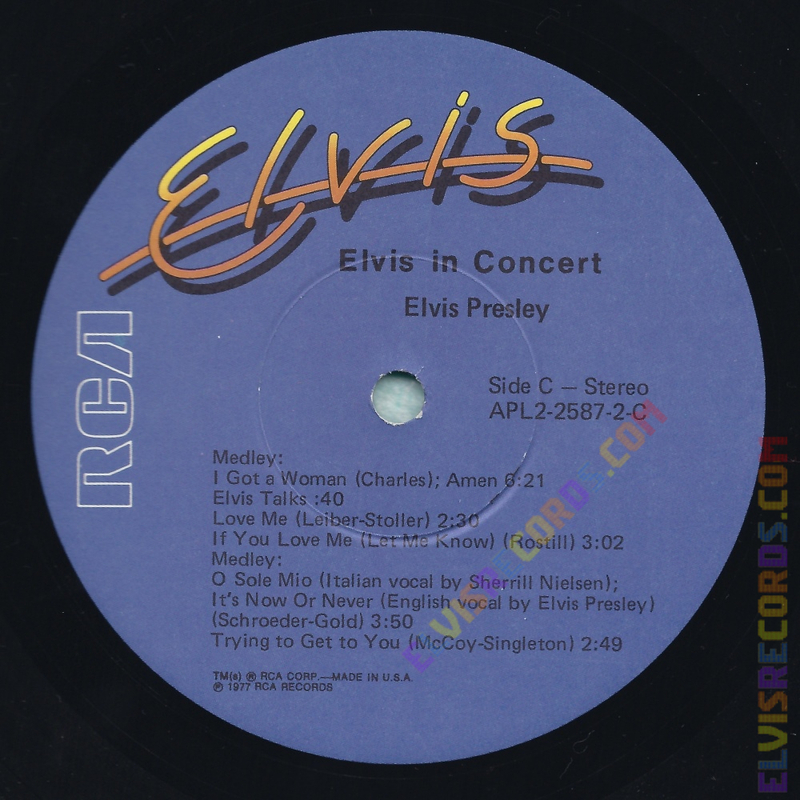 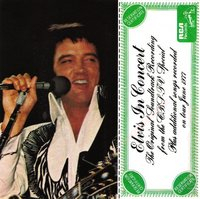 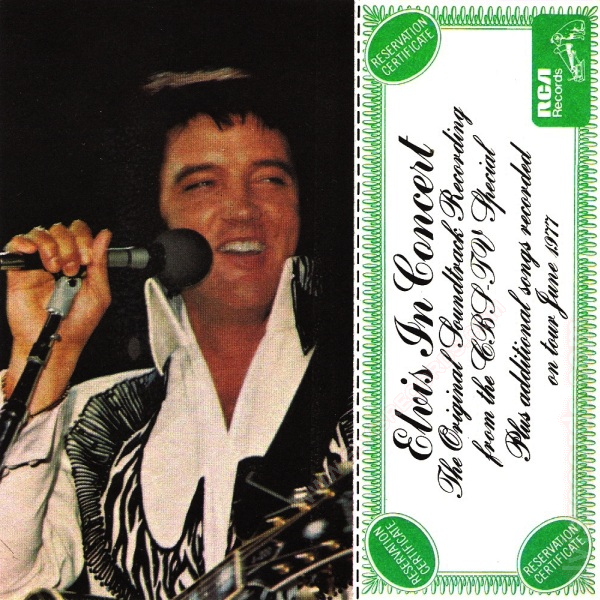 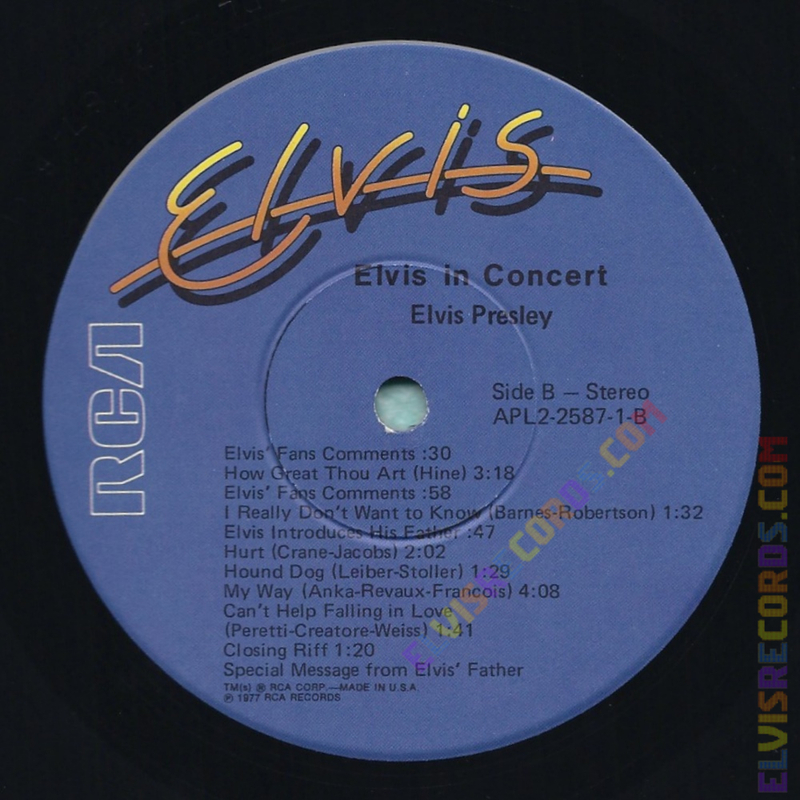 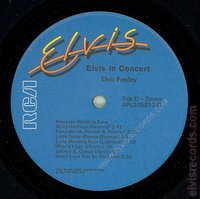 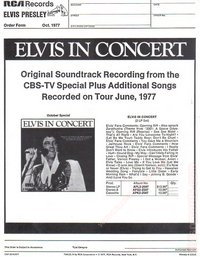 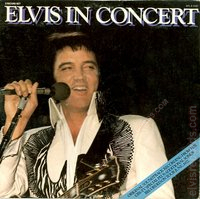 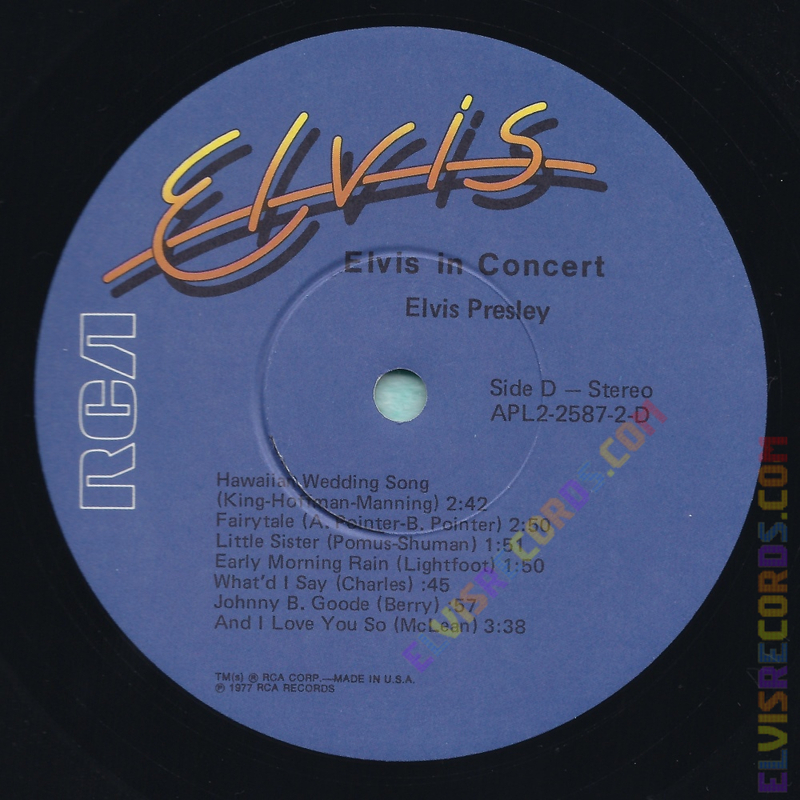 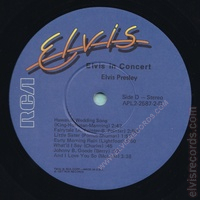 Re-released as CPL2-2587 Elvis In Concert.